Combining paint and stitch, this art quilt features a serious brown Owl. 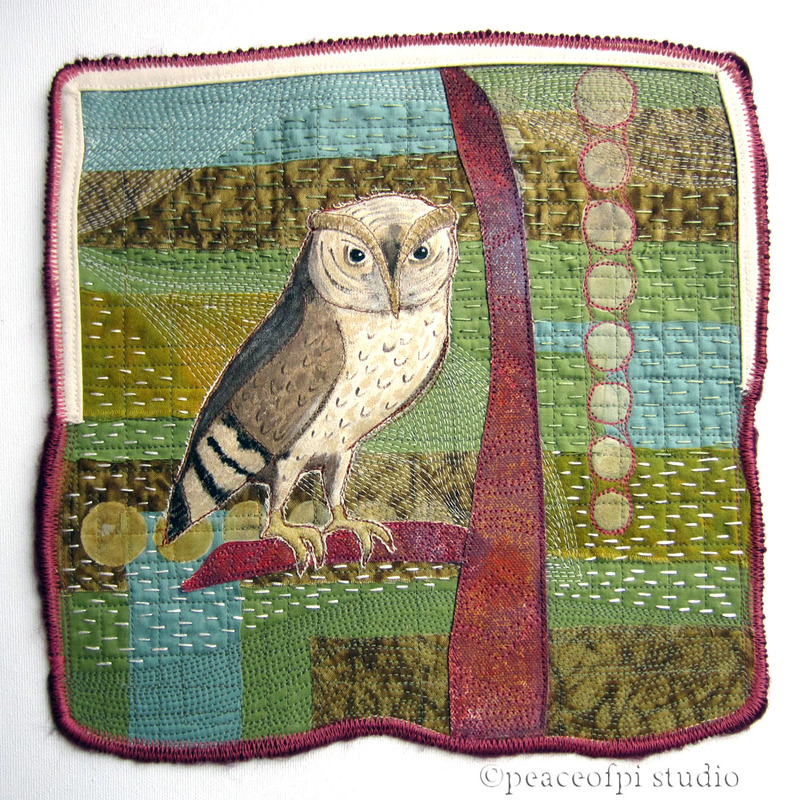 The background is a collage of earthy forest colored fabrics embellished with both hand embroidery and machine stitch. The owl is made of hand painted cloth which is appliquéd and stuffed trapunto style for a fun three dimensional effect. This art quilt was so fun to create because it provided an opportunity to experiment and play with multiple sewing and painting techniques all in one project. All the fun in one place!